InstallBuilder includes built-in actions that make implementing commonly required functionality in a crossplatform manner fast and easy. Built-in actions include starting and stopping services, creating or editing Windows registry keys, auto-detecting a Java® Runtime, launching other applications silently during installation, checking for disk space, and opening a web browser at the end of installation. 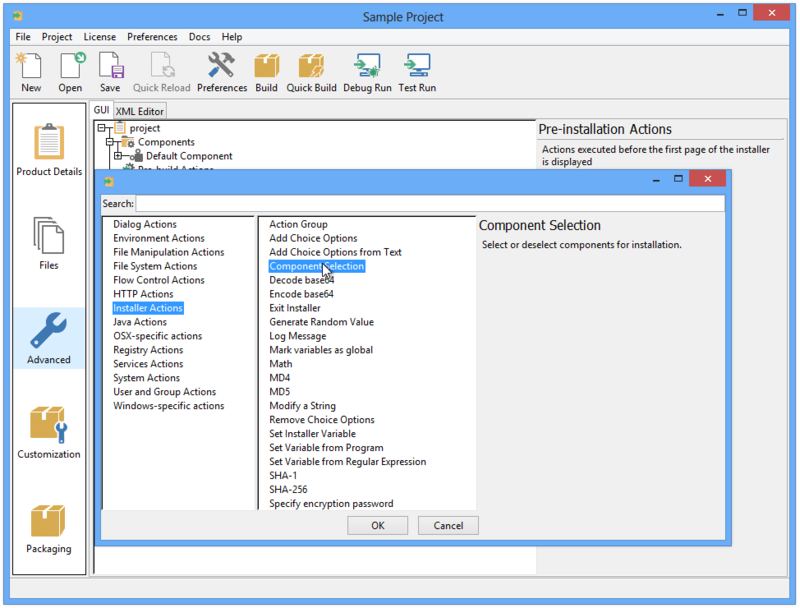 A complete list of actions is included in the reference documentation that is packaged with every InstallBuilder download.